The Shins are an American indie rock band fronted by vocalist and multi-instrumentalist, James Mercer. 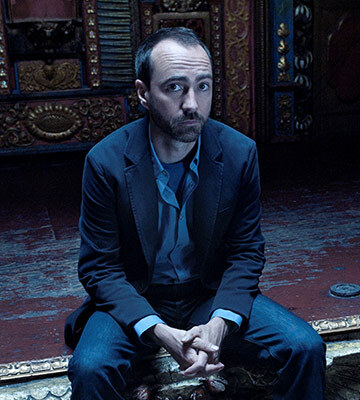 Formed in Albuquerque NM by Mercer in 1996 as a side project to his main concern at the time, Flake Music, and having relocated to in Portland OR in 2001, The Shins have released several of the most acclaimed and influential songs and albums of the last two decades. These include debut album Oh, Inverted World (featuring singles "New Slang", "Know Your Onion!" and "The Past and Pending”), sophomore effort Chutes Too Narrow, and third album Wincing the Night Away. The latter debuted at #2 on the U.S. album chart with 118,000 copies sold in its first week, the highest sales week and chart position ever achieved by an album released solely on then-label Sub Pop, and was nominated for a 2008 Grammy award in the category of Best Alternative Music Album. The Shins’ most recent album, Port of Morrow, was the band’s first released through a partnership with Mercer’s own Aural Apothecary label and Columbia Records. Preceded by the single “Simple Song,” it was released in March 2012 and entered the U.S. album chart at #3. The Shins are currently hard at work on the follow up to Port of Morrow.